The Italians were liberated from Nazi Germany on April 25, 1945 and now that day is a national holiday known as Liberation Day. It was the end of twenty years of Fascist rule in Italy and the end of five years of war. Kate and I took this opportunity to head to Berlin-- how ironic. Berlin is not going to make Europe's list of top ten most beautiful cities anytime soon. It is gray and cold and still reflective of it's communist past in many ways. But the city is edgy, hip and cool. We took tours of Berlin, shopped in one of Europe's largest department stores, battled a 30 degree temperature difference over the course of two days, and ate lots of Asian food. A huge department store and all I bought was a jar of marshmallow fluff. Kate and I took a free tour of the city on the most beautiful day we had seen in quite a while. Taylor, our Australian guide, kept things informative and fun. The tour started at the Brandenburg Gate and wandered all around what would have once been East Berlin. And it didn't hurt that they start their tours in front of a Starbucks either! This made me a very happy girl! We also went to the Memorial to the Murdered Jews of Europe. This memorial is relatively new and the designer indicated no specific meaning by his design, leaving it to your own interpretation. It has 2,711 large concrete blocks of different heights spread out over a section of land. On the tour we saw bits of the Berlin Wall that are still intact and wandered to the intersection where Checkpoint Charlie has been recreated. All of it was put back together for the tourists to enjoy, complete with actors playing American soldiers. That part, I think, they could do without. This intersection, though, was one of my favorites. Check out the picture to see why! A double row of bricks has been laid in the streets of Berlin to indicate where the Wall once stood, helping you identify when you cross from sections of "East Berlin" to "West Berlin". I was old enough to remember seeing the evening news the night the Wall had fallen. I remember seeing footage recorded at night in Berlin with people dancing on the Wall and celebrating. It was interesting to listen to the story of the Wall falling actually being an accident. That was something I hadn't remember hearing previously. Bucket list check-off...be in two places at once! Check, check! A stretch of the Wall that's over a mile long is still standing as part of what is called the East Side Gallery. Various artisans have painted sections with interesting, colorful and unique designs. There are also random sections of the Wall scattered about the city. Kate and I found these pieces and while they're a little out of date, they were really profound. I took the opportunity while in Berlin to go to nearby Sachsenhausen Concentration Camp. I think it's important to go to places like this to remember the past and honor the victims. This camp housed mostly political prisoners from 1936-1945 and records indicate that over 30,000 people died at this camp, even though this wasn't specifically a "death" camp. The prisoners weren't sent here to die, though many did because of poor living conditions, malnutrition, disease and medical testing. My greatest disappointment is that I went with a tour group to the camp. Being there with a group of people just didn't feel right to me. I wished that I had gone on my own and didn't have to experience it with forty other people around. But, a worthwhile experience, nonetheless. Most of Sachsenhausen was torn down when the camp was evacuated. Then it was used by the Soviets for several years. While some parts of the camp are original, a lot was rebuilt from original materials left behind after the Soviets. 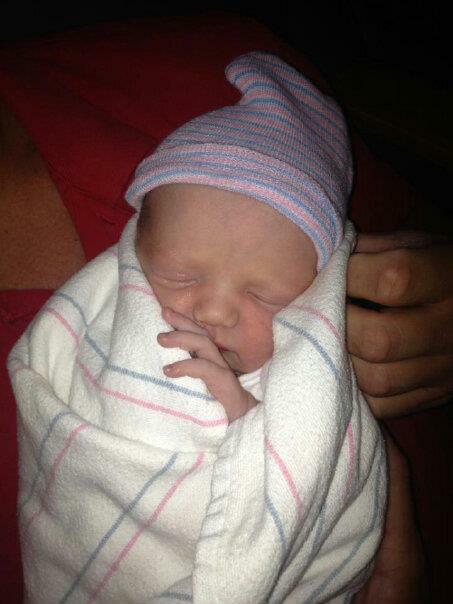 My friend Jessica gave birth this morning to a beautiful baby girl, Jamison! So happy for you and Matt! Precious! I can't wait to meet her! Thanks for sharing Berlin! Love the photos. How did you get them to name a street for you:) Keep the adventures going!!!! !